Teaches: Refuse to Be A Victim® , basic courses. Assists with: basic courses, Defensive Long Gun, and many others. Certifications: Texas Concealed Handgun License Instructor, NRA Instructor in Home Firearm Safety, Pistol, Rifle, Shotgun, Personal Protection, Refuse To Be A Victim® . Training: Firearms courses from KR Training. Texas Concealed Handgun License holder. 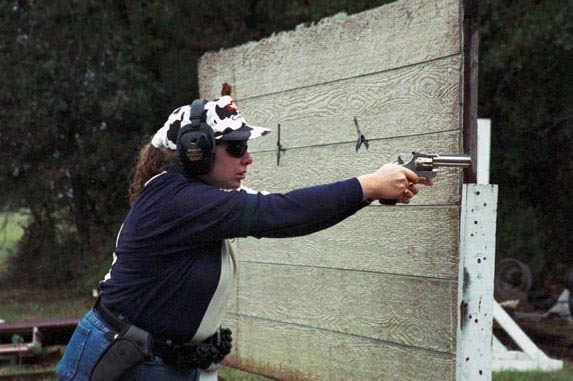 Experience/Achievements: Competitor in IPSC, Steel Challenge and other shooting sports. Recent: Married KR Training instructor John Kochan. Personal: Kelli has a master's degree in biology and is currently working with Penny Riggs doing biology research at Texas A&M.